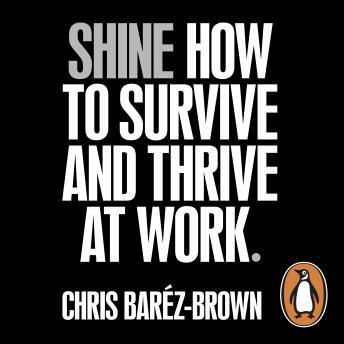 Penguin presents the audiobook edition of Shine written and read by Chris Baréz-Brown. We all have good days and bad days at work. Some days you feel bullet proof. People listen to you, your meetings run like clockwork, and you keep having new ideas. Other days are like wading through quick sand. You can't get anything done, and when the printer jams (again) you want to quit. Wouldn't it be great if every day went your way? If you jumped out of bed every morning ready for anything? You can stand out, break the rules and make things happen. You can be a bit more 'Elvis'. You can love every minute. The only limit is you: your energy, your belief, your perspective.